Two Midlands State University (MSU) students were last week arrested and handed over to the CID Law and Order in Gweru for undermining the authority of President Emmerson Mnangagwa after alleging that he is a “mad” man. The students, Prince Kamutsamba, 22, and Lloyd Zata, 25, reportedly sent insulting and threatening WhatsApp messages in a group about Mnangagwa before the MSU graduation. On November 22, CID Gweru released a memorandum seen by the Daily News titled: “Arrest of two accused persons for undermining authority of the president as defined in section 33(1)(B) of the Criminal Law Codification and Reform Act Chapter 09:23”. 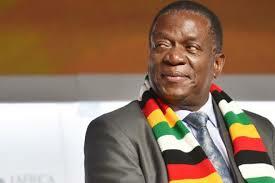 “On November 22, 2018 information was obtained that the two accused persons were sending insulting and threatening messages about the president of the Republic of Zimbabwe...Mnangagwa on their WhatsApp group, who is expected to officiate at the graduation ceremony at Midlands State University. “The two accused persons were arrested by Police Internal Security Intelligence (PISI) Senga and were handed over to CID Law and Order Gweru. “Their cell phones were taken and checked,” the memo read. The fourth year Local Governance students are reportedly members of a Class WhatsApp group called Local Governance Studies (LGS). In the chats, the CID memo revealed that Kamutsamba sent a message in the group asking “ndiyani angandiudzirawo vaMnangagwa kuti November haasati apera” (who can tell Mnangagwa on my behalf that November is not yet over). Another participant reportedly advised the 22-year-old to convey the message himself when the president comes for the graduation that was held last Friday. Kamutsamba, however, responded saying he does not want to speak to a “mad” person. The message read “handitaure nemunhu anopenga ini” (I don’t talk to a mad person). Zata responded to Kamutsamba’s message alleging that they want to burn the president in one of the university’s halls. The two accused were arrested and handed over to CID Law and Order Gweru. The students’ cell phones were held while they were detained at Gweru Central police but when the Daily News spoke to Kamutsamba recently he had got back his phone and had been released. This comes after a former MSU student Night Shadaya is awaiting trial for re-tweeting a message besmirching the Zimbabwe Electoral Commission chairperson, Priscilla Chigumba. Meanwhile, MSU students will not be allowed to sit for examinations without paying 75 percent of their school fees. This comes as the Zimbabwe National Students Union (Zinasu) recently complained that fees are now exorbitant and students feel they are increasingly being punished for failing to pay on time under this harsh economic situation.